Late last year, a gunman walked into a synagogue in Pittsburgh and murdered 11 Jews at prayer. This most lethal anti-Semitic attack in American history was a wake-up call, highlighting the fact that anti-Semitic incidents in the U.S. rose nearly 60% in 2018. At AJC, we’ve been sounding the alarm about resurgent anti-Semitism at home and abroad for nearly two decades. That’s because before Pittsburgh, there were Toulouse and Burgas… there were Copenhagen and Paris... innocent Jews killed just for being Jewish. A terrifying report commissioned by the European Union and released in December finds that 89% of European Jews say anti-Semitism has increased over the past five years. Almost 40% have considered leaving Europe for good. There is an urgent need for American attention to anti-Semitism at home and abroad, and the Bipartisan Taskforce for Combating Anti-Semitism is primed for impact. Urge your Representative to join this timely and essential caucus. As your constituent, I am writing to encourage you to join the Bipartisan Taskforce for Combating Anti-Semitism. In the wake of rising anti-Semitic incidents and rhetoric in the United States and around the globe, it is vital for Congress to exert much-needed leadership. This caucus plays a critical role in coordinating congressional efforts, such as legislation and interparliamentary engagement, to combat anti-Semitism. 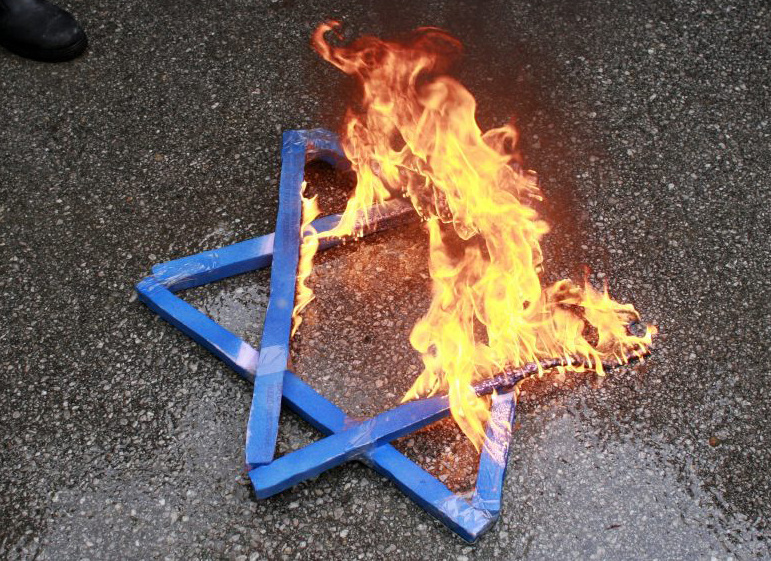 As you know, anti-Semitism has seen a disturbing resurgence in the United States. Late last year, a gunman walked into a synagogue in Pittsburgh and murdered 11 Jews at prayer. This most lethal anti-Semitic attack in American history was a wake-up call, highlighting the fact that anti-Semitic incidents in the U.S. rose nearly 60% in 2018. The Bipartisan Taskforce for Combating Anti-Semitism — started in 2015 by Representatives Nita Lowey (D-NY), Chris Smith (R-NJ), Eliot Engel (D-NY), Ileana Ros-Lehtinen (R-FL), Marc Veasey (D-TX), Kay Granger (R-TX), Ted Deutch (D-FL), and Peter Roskam (R-IL) — works with government officials and diplomatic contacts to craft policies aimed at protecting Jewish communities, monitor anti-Semitic incidents, prevent radicalized young people from turning to terrorism, and educate against anti-Semitism. I appreciate your consideration of my views on this critical matter and encourage you to join this important taskforce.